Abstract: The exponential increase in the number of wireless devices as well as the limited wireless spectrum, pose significant challenges in the design of future wireless communication systems. Adaptive and reconfigurable radios that can change their frequency and mode of operation based on the unused/available wireless spectrum have been proposed to address such challenges. Frequency Agile RF circuits can play a key role in realization of such radios. This presentation is on the applications of ferroelectric thin film barium strontium titanate (BST) for the design of frequency agile radios. BST is a low loss, high dielectric constant field dependent multifunctional material. The electric field dependence of BST has been employed to design tunable RF and microwave devices and components. Another important property of BST is its DC electric field induced piezoelectric or electrostrictive effect. These properties are utilized to design intrinsically switchable film bulk acoustic wave resonators (FBARs) and FBAR filters. Switchable ferroelectric based filter banks can significantly reduce size and power consumption of conventional filter banks employed in frequency agile radios. Design of several BST based adaptive and reconfigurable RF circuits will be presented. Biography: Amir Mortazawi received the Ph.D. degree in electrical engineering from The University of Texas at Austin, in 1990. He is currently a Professor of electrical engineering with The University of Michigan at Ann Arbor. His research interests include microwave and millimeter-wave circuits, phased arrays, power amplifiers, ferroelectric thin film based devices and frequency-agile microwave circuits. Prof. Mortazawi was the Editor-in-Chief for the IEEE TRANSACTIONS ON MICROWAVE THEORY AND TECHNIQUES from 2006-2010. He served on the IEEE Microwave Theory and Techniques Society (IEEE MTT-S) Administrative Committee (AdCom) for eight years. Prof. Mortazawi served as the Associate Editor for the IEEE TRANSACTIONS ON ANTENNAS AND PROPAGATION (1998–2001) and IEEE TRANSACTIONS ON MICROWAVE THEORY AND TECHNIQUES (2005). 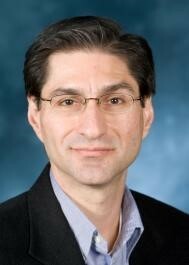 He is currently chairing the Distinguished Microwave Selection Committee for the MTT-S and is a Fellow of IEEE.